There is honestly nothing better then Gelato... well, maybe not. But I must say it is one of my favorite desserts! 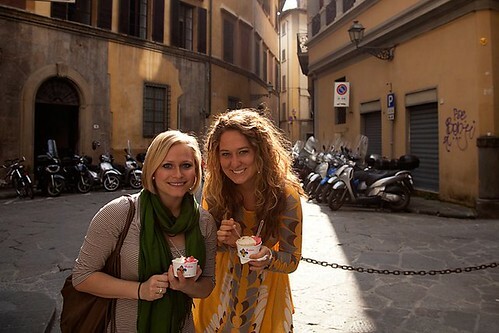 Last year while in Italy visiting my friend, Jess, I would daily wander the city of Florance, gelato in hand. Coconut, both are divine! Now I can have a little taste of Italy without hopping a plane. I saw this for the first time y 'day in the grocery store and wondered about it....now I'll have to try it!